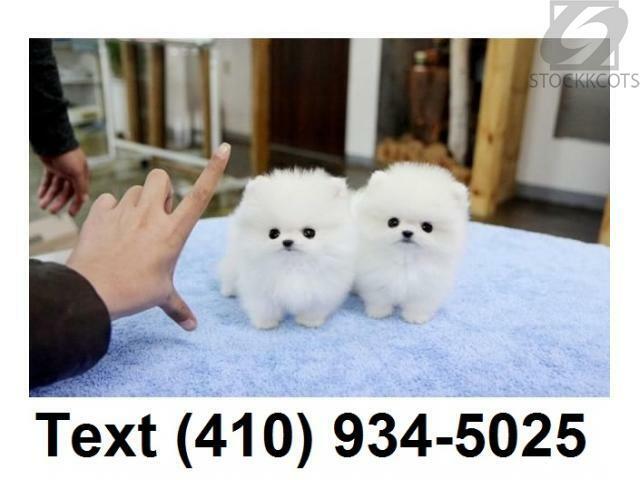 Home >> Pets >> Dogs and Puppies >> Tiny Teacup Pomeranian Puppies for sale! We have the best quality of tinymicro teacup Heavenly teacup Pomeranian puppies for sale.Healthy,happy and playful.Be ready to fall in LOVE!They are super cute and the best ever.They have lots of great personalities that will melt your heart.They are current on all shots and vet checks,akc registered and will come with all papers and records.100% health guarantee.Home and potty trained and will never mess up your home.just text us via phone number on picture for more information and pictures.They are soft,warm,lovable and affectionate with great personalities. Comments about Tiny Teacup Pomeranian Puppies for sale!